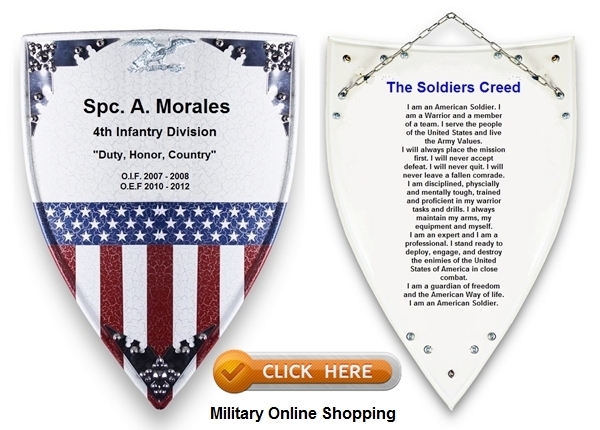 Custom made military plaques made for all branches of the Armed Forces. A soldier’s retirement or promotion must be a cause for celebration and commemoration. Gifts and plaques are usually presented to retirees at a party or reunion. The wording on the military plaques will vary depending on who’s giving that plaque and their personal relationship. Plaque inscriptions should include elements-of gratitude, congratulations and references to various milestone events. After twenty years of service in the Armed Forces, retirees design commemorative gifts that are symbolic of their service. Gifts commemorate the retiree’s experiences and adventures during their time in the service. The preparation is usually coordinated months ahead-of the member’s retirement. Normally gifts are presented during the special dinner or luncheon organized by the unit or the family. You can get the Navy Plaques which feature a unique and special inscribed prayer or poem. You can customize the front of the plaque with your own personal message. It’s a unique way of letting the sailors know you’re praying for them. Alternatively, you can get the Navy Appreciation Plaque. The USN-Anchor logo draws the attention to this amazing Navy plaque. The Navy service record and a personal note-of appreciation are both proudly displayed. 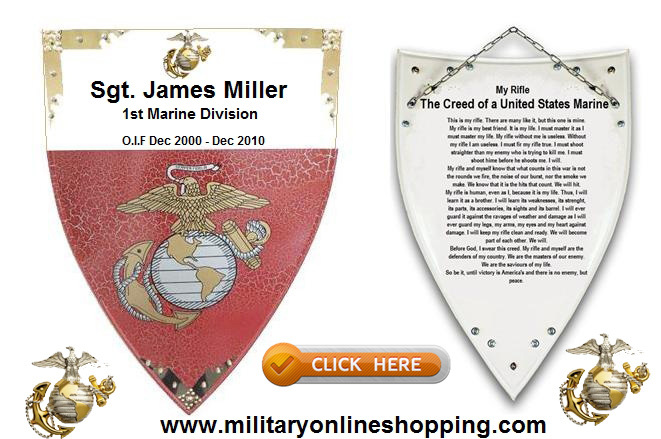 Marine Corps Service Plaque which has the Marine Logo displayed on the front is very popular. This is signified with a Gold coloring, so as to draw attention to the plaque. You can also get one where the rank is displayed and highlighted in red and also dated. It’s a great gift to share your appreciation and also show your gratitude to the marines. It can also make a brilliant gift idea for the Marine’s wife. The Airman’s Creed Plaque which has the official airman creed inscribed on the back. This can be customized on the front with your very own messages. A popular gift item and suitable for many occasions.